Son, you're still young now. 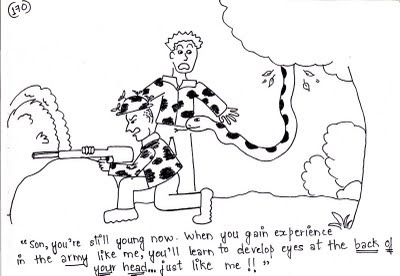 When you gain experience in the army like me, you'll learn to develop eyes at the back of your head... just like me! !